On Tuesday, March 6th, Hundreds of sophomores, juniors, and seniors filed into Forest Grove High School’s gymnasium, perusing the nearly 50 organizations there during Willamette Education Service District’s “Career Expo at Forest Grove HS”. “I just got accepted to BYU,” said one senior girl, who was planning on becoming an engineer. “I’m not sure where I want to go to school, but I know I want a job in finance,” said another. Fittingly enough, among those present in Forest Grove was Wauna Credit Union (WCU). Credit unions are not only excellent examples of cooperative, people-based institutions, they’re also great places to start a career. 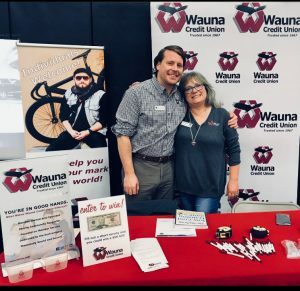 WCU’s Member Relationship Officer, Stephanie Pesio, alongside Communications Specialist, Michael Murdoch were on hand to talk about the benefits of joining and working for a credit union. “We have so many opportunities for young people at Wauna,” said Pesio. “WCU has an internship program for current high school kids, too. We have full-time employees who have risen in the ranks here long after starting as interns,” she added. All told, about 100 students stopped by WCU’s booth. There was, of course, a bowl of candy present and a chance to win $50 for filling out a short survey. With questions like “What is the difference between a bank and a credit union?” and “Can you name three credit unions?”, the survey helps WCU gauge young peoples’ understanding of the industry. “I think a credit union is local and does loans, right?” said one Forest Grove High School junior. Though their credit union education might need some work, WCU is looking forward to a larger presence in Forest Grove. Later in 2018, construction begins on WCU’s newest branch. WCU’s presence will account for only one of two credit unions in the area. “We look forward to the future and are excited to be involved in the schools, the city, and in the community,” said Murdoch. Wauna Credit Union was formed, and continues to act, for the purpose of serving our communities of Clatsop, Columbia, and Western Washington Counties in Oregon, and Pacific County in Washington. We talk a lot about our charity, and about serving our members. What we spend most of our day-to-day work on is being a financial institution that is working to help our members achieve their dreams. A huge part of that is being a not-for-profit credit union instead of a for profit bank. We put together a video on what that difference means for us. Check it out to hear about the Credit Union Difference. 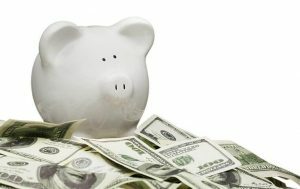 In addition, ECONorthwest created an independent analysis that analyzed the gross economic impacts of credit unions in Oregon and Washington. 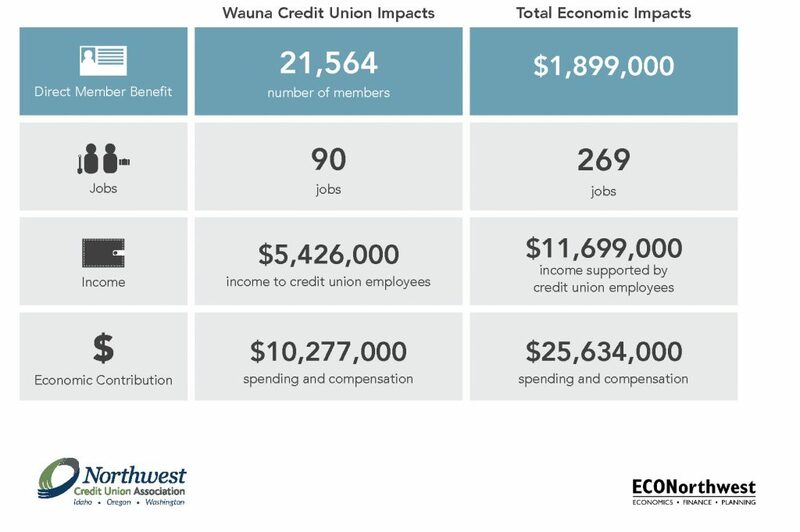 The study measured the jobs, economic output, and income Wauna Credit Union contributed to the economy in 2016. Pictured, L to R: Sara Kulp, Sharon Borgardt, Marc Silva, Robert Blumberg, John Moore, Gina Dines, Pam Weller, Debi Smiley, Danea Passmore, David Merrell. 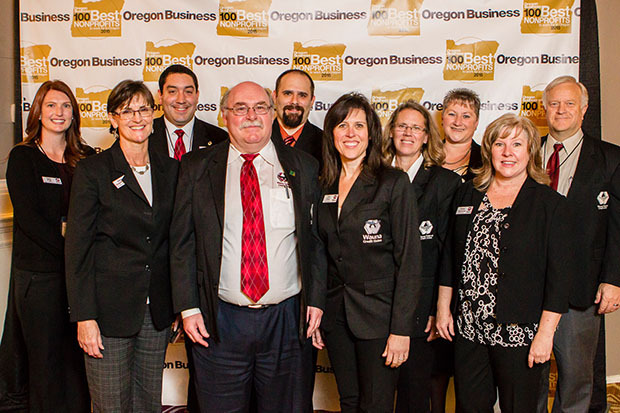 Wauna Credit Union has been recognized by Oregon Business Magazine as one of the 100 Best Nonprofits To Work For in Oregon. This is the Oregon Business Magazine’s 7th Annual Top 100 List, which analyzed employee survey data compiled earlier this year from over 5,000 employees throughout Oregon. “We are thrilled by this wonderful recognition,” reports Sharon Borgardt, Chief Human Resources Officer for Wauna CU, “especially since the ranking is based on a survey comparing our employees’ level of pride and satisfaction to those of other similar employers.” Wauna Credit Union compared especially favorable to its peers in the categories of Management & Communication, Benefits and Compensation, Sustainable Practices, and Career Development & Learning. Wauna CU has earned recognition as a Top 100 Best Green Workplace in Oregon for several years due to its commitment to sustainable practices.